A notice reads "Business closed by the police due to profiteering. Owner in protective custody at Dachau." 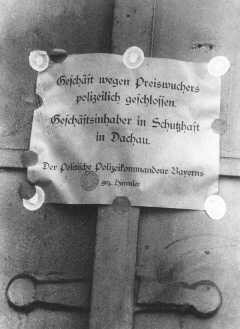 Signed by police chief Heinrich Himmler. Munich, Germany, April or May 1933.